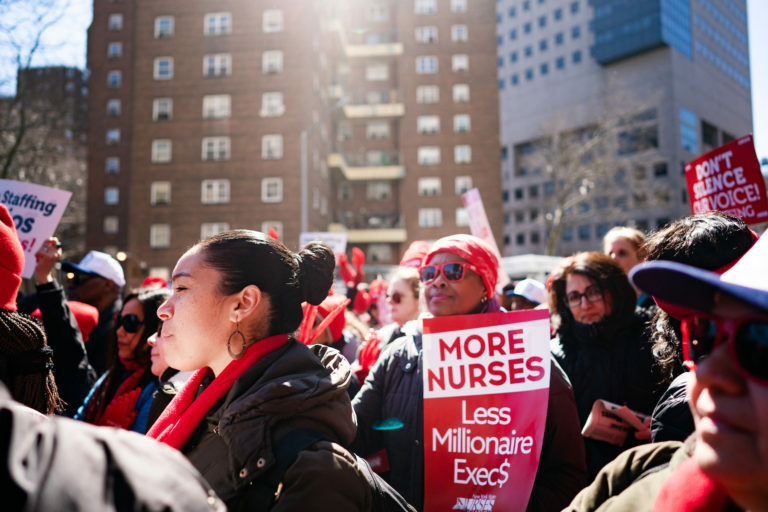 The union representing more than 10,000 nurses at New York City’s three private hospital networks announced plans for a strike on March 2. Members of the New York State Nurses Association (NYSNA) gave their employers notice of the impending job action on Monday. They want the hospitals to reduce patient to nurse ratios, which they say are endangering lives. Executive compensation at the three hospital systems set to be impacted by the planned walkout — Mt. 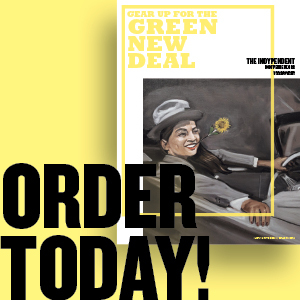 Sinai, Montefiore and New York-Presbyterian — runs into the millions of dollars. The nurses have been offered a raise, but the central issue of the bargaining dispute is patient care. The Safe Staffing for Quality Care Act, currently before the state legislature, would reduce patient to nurse ratios across the board. For intensive care units (ICUs), the ratio would come to 2 to 1. Several ICU nurses The Indypendent spoke to Monday on a picket line in front of Mount Sinai Hospital on the Upper East Side said the number of patients under their care can sometimes climb into the teens and higher. It puts lives at risk and forces them to ration care, they said. A number of nurses wore badges reading “97 %,” the percentage of NYSNA members who partook in the strike authorization vote who elected to walk out if the union’s demands are not met. Photo (top): Nurses picketing in front of Mt. Sinai Hospital in Manhattan on Monday. Image and video by Erin Sheridan.